Sir Chris was at the Lee Valley VeloPark today to help launch a new track cycling talent identification campaign with UK Sport and British Cycling. Great Britain’s most decorated Olympian, Sir Chris Hoy, is calling on sporting stars of the future to sign up for an exciting new talent identification campaign. #DiscoverYourPower, a partnership between UK Sport, the English Institute of Sport (EIS) and British Cycling, is targeting powerful 15-21 year old males and females to be fast-tracked into the world of high performance sport. 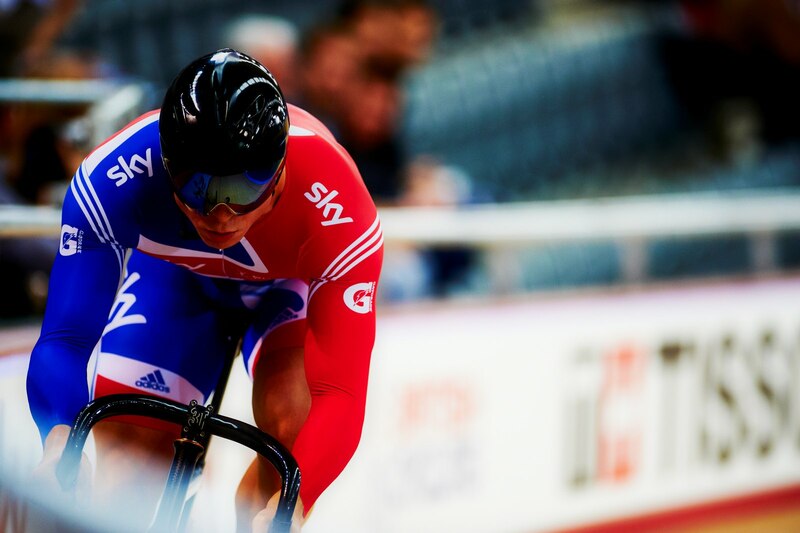 Launched today (March 2nd) at the World Track Cycling Championships at the Lee Valley VeloPark, the campaign aims to identify talented young potential sprint cyclists who could be challenging for Olympic medals at Tokyo 2020 and beyond. “UK Sport and the English Institute of Sport have a strong track record of finding great British talent and then finding the right sports in which those talents can succeed. “Likewise, British Cycling has consistently produced world-class riders over many years and in Katy Marchant there is an excellent example of someone who will be competing in this week’s UCI Track Cycling World Championships having switched to cycling just three years ago. Katy Marchant, who transferred from athletics to cycling three years ago, said: “I made the switch to cycling and I haven’t looked back – British Cycling’s Rider Route is a world-leading talent development programme with a history of successes including Jason Kenny, Liam Phillips, Ed Clancy and Laura Trott. Previous UK Sport and EIS talent identification campaigns have discovered Olympic rowing champion Helen Glover, Taekwondo Olympic bronze medallist Lutalo Muhammad and Sochi 2014 Skeleton gold medallist Lizzy Yarnold. “#DiscoverYourPower is all about ensuring young people with raw sporting talent get the opportunity to reach their full potential no matter what their background. Ian Yates, British Cycling Performance Pathway Manager, said: “Talent selection, identity and transfer are all essential parts of our recruitment processes and important aspects of the Rider Route, British Cycling’s programme to help the most promising riders become the stars of world and Olympic cycling. #DiscoverYourPower will have two testing phases beginning in July with the very best joining British Cycling’s National Lottery funded World Class Programme where they will benefit from access to world leading science, medicine and technology to help them reach their full sporting potential. As well as track cycling there will also be opportunities to be considered for other Olympic sports such as Canoeing and Skeleton where power is an important factor. You can find out more and sign up for #DiscoverYourPower here.